I’ve fallen in love with the classic Caesar Salad all over again. Not some cheap restaurant version, but a delicious homemade version, simple, and seriously tasty. I’m a firm believer that homemade dressing for any salad is a must, and a Caesar is no exception. We’ve got two great recipes for Caesar dressings – one traditional, and one vegan – in The Naked Foods Cookbook which I highly recommend you give a try. Assuming a homemade dressing, some romaine lettuce fresh from the market, and some fresh parmesan cheese to shave overtop, here are six things I’ve been doing to mix it up. Try one or several of these tricks to bring a whole new life to this classic salad. 1) Add sliced artichoke hearts. I have to admit I stole this trick from a nearby restaurant because I love it so much. Fresh artichokes (boiled or steamed) are best of course, but that takes a lot of work. I have to be totally transparent here and admit that this is one of those instances where I’m willing to go for the canned variety. I’m not a fan of adding marinated artichokes because the flavor is too strong and can overpower the rest of the salad. The fabulous Chef James taught me to get them frozen and then roast them in a little ghee, which is ridiculously delicious but again, takes some extra legwork. 2) Add sun-dried black olives or cured black olives. There’s something about the saltiness of these olives that complements the creamy garlicky-ness of the Caesar so nicely. I’m not sure I’d add both the olives and the anchovies (see below). That’s a little heavy on the salt. 3) Add sunflower sprouts. These are by far my favorite sprout. So hearty and tasty. I add them to just about everything and it only works some of the time. This is one of those times. 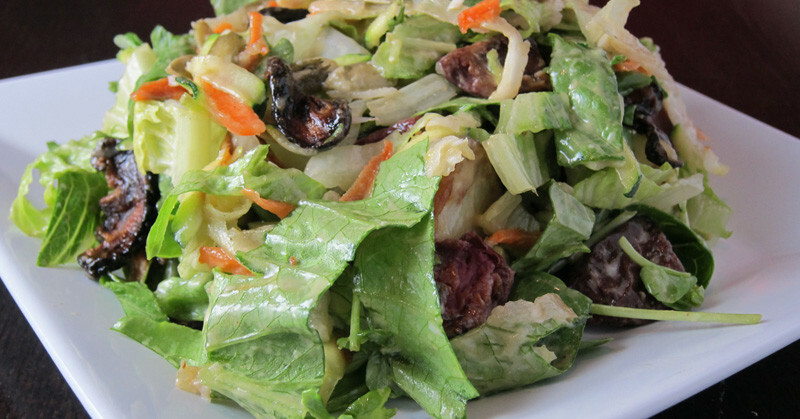 4) Add anchovies to the salad, rather than the dressing. Of course, this assumes you’re a fan of anchovies (which I most definitely am). 5) Add shiitake faux bacon instead of bacon bits. 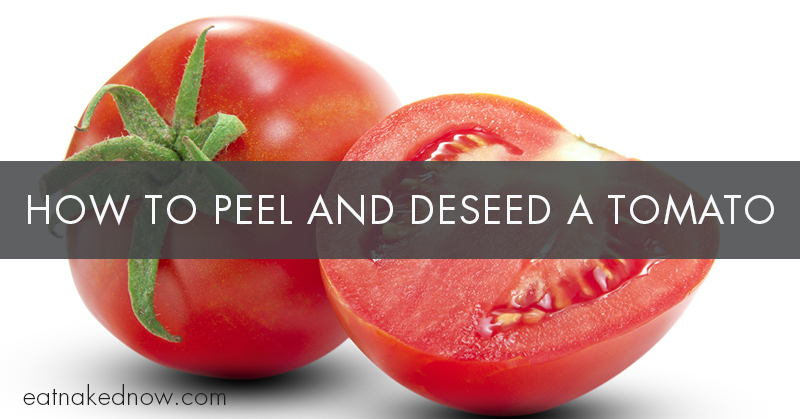 This is a great vegan trick that even us carnivores love. The recipe is in The Naked Foods Cookbook and I’ve shared it below. We’ve gotten a lot of love from our vegan friends for this one, and have even been told they’re the best “faux bacon” they’ve ever had. Forget those chemical-laden fake bacon bits. 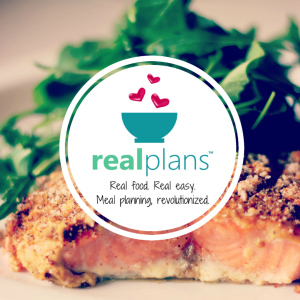 Real food all the way, baby. 6) Add roasted pepitas instead of croutons. I usually skip the croutons because I’m not a fan of them, but roasted pepitas give you that same crunch you’re missing without the them. This is an easy gluten-free trick that doesn’t take all that much extra time and is a lot easier than making your own croutons. 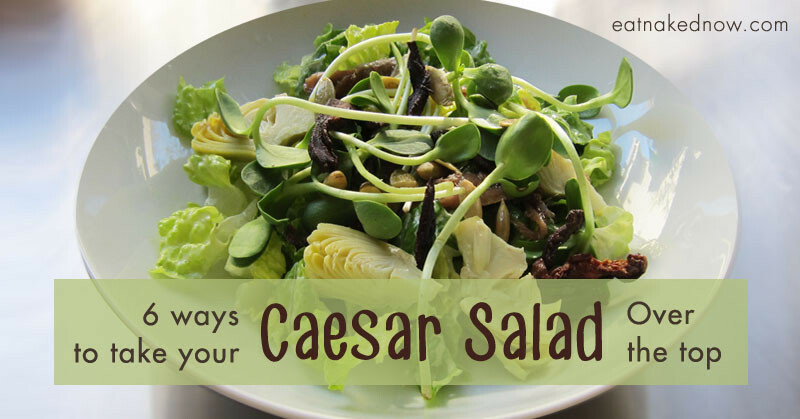 Next time you’re craving that Caesar, try something a little different with it! What’s your favorite twist on this classic? Preheat oven to 395˚. If your kitchen is a little cool and the coconut oil is solid, put coconut oil in a heat-resistant bowl in the oven to let it melt while oven is preheating. When coconut oil has melted, remove from the oven and mix well with the mushrooms. You may want to use your clean hands to work the oil into the mushrooms fully. Add the tamari, and continue mixing until well coated. Spread mushrooms out on an oven tray and bake for 12 to 15 minutes. Flip the mushrooms with a stainless steel spatula, and keep baking for another 12 to 15 minutes, until nice and crispy.